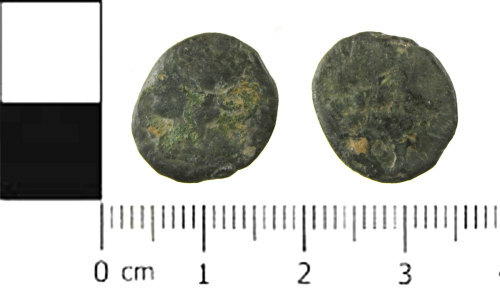 A copper alloy Roman coin; an illegible and worn nummus dating from AD 330 - 402. Uncertain reverse type. 15.5mm diameter, 1.7mm thick. 1.3g.